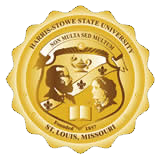 Harris-Stowe State University has cooperative agreements with both St. Louis University and the University of Missouri-St. Louis under which students currently enrolled at any of these institutions may take courses at the other institutions, paying tuition only at the home institution. The HSSU student must be full-time and demonstrate a need of the course to complete degree requirements (only undergraduate students are permitted to participate in this program). Full details are available at the Office of the Registrar or Academic Advisement at all institutions.